Along with being one of the most cost-effective business tools, email marketing is an intimate and adaptable way to build long lasting relations with many potential customers across many social groups. But without understanding how to hit the mark with valuable subscribers, it can be a complete waste of time, and that at the best of times. Changes in the online marketing world require savvy marketers to constantly adapt their techniques to best fit the times and trends. Email marketing is flexible enough to fit any audience and has been proven effective since the early days of internet marketing. Today it is still one of the preferred methods of building client merchant relations. But face it, if you are out launching email campaigns from the hip without proper planning and targeting, the results can be bad — very bad! By the time a cost effective marketing strategy begins affecting sales, profits and brand reputation in a bad way, the serious side of email marketing becomes more apparent. At this point a business should stop and reevaluate their email marketing strategies, if they are to stop the dangerous ripple effect. If your best efforts at email marketing don’t seem to be making any positive progress, the problem could be very small. 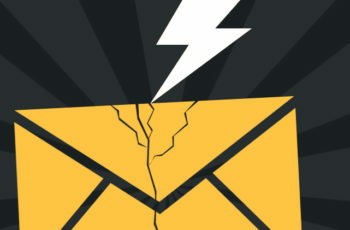 Here we’ll cover some of the most important reasons your email marketing campaign is failing. Without properly understanding the recipients of your email correspondence your efforts will be shots in the dark. Remember that your email list was entrusted to you by cautious consumers, if misused you can cast your brand and business in a very bad light. What message would you send about your professionalism by sending promotions for heavy logging machinery to an email list of diet watchers and health enthusiasts? The first message you will transmit to your readers is how little you know (or care?) about their interests as consumers. Furthermore, they will assume you are merely there to waste their time in hopes of making a sale. Your list will unsubscribe so fast it will make your head swim. How do you avoid this? By paying very close attention to the specific needs and wants of your audience. If you know your product as well as you should, you should have a very clear description of your target demographic. You Are Coming On Too Strong. While all of your final goals are about making sales and closing deals, don’t make this your primary message. Product advertisements, no matter how colorful, descriptive or even beneficial, are still just mundane commercials, and this is not what keep potential clients opening emails and wanting more. Speed kills in email marketing, the best approach to your sale is with time and patience. Begin by establishing a rapport with your readers and showing them how well you know them personally. Use stories, jokes or whatever you know they will find engaging to make your communications enjoyable. Then later when you have a product, service or option they might be interested in, they will be more inclined to take you up on the offer. Your email marketing campaign will be dead in the water if you can’t get your subscribers to open their emails. The biggest obstacle between the most carefully planned emails and their target readers is the quality of the subject line. Email marketing campaigns that employ uninspiring subject lines are heading for disaster and the recycle bin. The best practices for crafting killer subject lines include creativity, intrigue and something that the reader will find especially compelling. If you have ever opened your email box and favored some subject lines over others, then you have an idea of what makes the recipient click. Find ways to apply these concepts in your email campaigns. Addressing this issue alone is the best way to ensure your emails are actually being opened by the readers, which does wonders for click through rates. Consistency is the best policy in email marketing because you become a part of your customer’s schedule. This does not mean that you need to have your emails sent by 5:00 Monday, but an established routine of regular correspondence gives an audience something to count on — a good way to build rapport. Emailing too often will result in many subscribers blinking of your list, those who fear they will never read all these emails cluttering up the inbox. On the other hand, if your emails are not sent often enough, you run the risk of being forgotten. You will want to choose a frequency that sits in the happy middle and best suits your business, products and audience. Then let your subscribers know how often they can expect your emails and when. Email marketing can be one of the more intimate marketing methods and calls for a likeable and friendly approach. Your readers are real people and feel more comfortable knowing they are communicating with a real person not an automated mailing service. The last thing you want to do is hide your identity in your brand. If the “From:” field only contains a company name your subscribers may lose some confidence in the communications. They could even assume spam is getting through and immediately unsubscribe. The best way to make a good connection is to treat readers as your friends, use your name up front and fill emails with style and personality. This indicates a higher value in your customers than businesses that relegate their email marketing to automated services. Copy is a central part of email marketing and requires some serious skills to get right. Producing good copy is more than just writing out a message and done. Considering what needs to be said in relation to the target audience and the tone of the business is an art. The best way to immediately improve your copy is to begin looking at the truly greats. There are many brilliant copy masters with plenty of skill in creating captivating content that creates truly effective campaigns. The work of Gene Schwartz and Dan Kennedy are just two examples. But if you aren’t cut out for copy, never fear. There are plenty of experts in the field who can lend you their skills and save you time. Outsourcing this important task can pay for itself and save you plenty of time and frustration wondering if your copy is good enough. By this time, you are surely aware of the importance of testing everything you send out. If you aren’t doing this yet, poorly targeted communications could cost you subscribers. Testing and tracking your progress is the only way to know what will be effective in your niche, without this you are making shots in the dark. Testing and tracking every aspect of your email marketing campaigns will provide you with crucial data on your subscribers. You can see what is being opened and why, or where your click through rate has been higher and how you can repeat this boost. Without this crucial information, you won’t know if the adjustments you are making are benefiting your campaign progress or hindering it. On the other hand, if you collect this data and analyze it carefully, you will have the benchmarks you need to improve your efforts in the future. Changing your email subscribers into paying customers will require a small miracle. The biggest mistake is talking primarily about your brand, your business, your benefits and your products or services rather than the interests, likes and needs of your reader. This is one of the easiest traps to fall into and has laid many great campaigns to waste. But armed with insightful information on your list, provided by methodical tracking and testing, you will have plenty of fascinating subjects to discuss. Make your email campaign all about engaging the interests, passions and lives of your readers from your enlightened perspective in your industry. This will be a testament to your insight into your products and demographic. By appealing to the client on a personal level, you inspire greater confidence that they are the focal points, not their custom. Long lasting relations are built this way. Once you have come up with the perfect subject line, matched the perfect product to the most appropriate list and produced solid gold content, you are still not quite there yet. Remember that all your efforts are still focused on one specific goal. This goal will be introduced to your reader in the form of a call to action. Emails that do not contain a very clear action you hope your reader will perform are essentially a waste of your time. Even your reader is expecting one and if you leave them in the lurch they may doubt the sincerity of your business. If you want your readers to sign up for a webinar, download an eBook or book a vacation package to Inner Mongolia, a call to action must be included and it must be unmistakably clear. It would be shame to bring clients through a perfect email marketing process only to trip here at the finish line. After topping off your perfectly appointed email with a killer call to action, it is still possible to botch the whole thing and begin from square one (Square One: List Building), if you don’t perfect the follow through. There are two major ways to fail at this important task. First, after all the work of planning and executing an effective email campaign… what, that’s it? No follow-up campaign, no follow-up on the campaign; just curtains (pronounced: COI’TENS). Then there are those that don’t respond to their subscribers’ emails, more’s the pity. It is hard to say which of these two egregious errors is worse than the other. After you have spent the time and focus into creating an email campaign and the trust of a subscriber list, it’s almost criminal to let all the hard work go to waste. And there is hardly anything more off-putting for a potential client than being ignored. The takeaway: don’t begin an email campaign without a plan or intent to make the next email campaign even better. Furthermore, treat your list and the subscribers on it with all the respect and consideration befitting a valued client, or someone else will. Simple as that! While the benefits of email marketing are numerous, the dangers of getting your brand or business blacklisted are very real too. If you are not sure how your audience will react to your email correspondence, it would be better to rethink your plan after you have gained more information on your demographic. But if you properly apply the aforementioned tips and pointers into your digital marketing strategies, you will cultivate a mutually beneficial relationship with your potential customers. One where you learn more about how to give your subscribers what they want, and they in turn honor your business with their time and attention.